The goat rawhide is thin and therefore ideal for making smaller hand drums, lamp shades, and craft projects. The pieces are very clean and are not full of holes. The weight varies somewhat from skin to skin. If you need a very thin piece or a heavier piece, let us know. 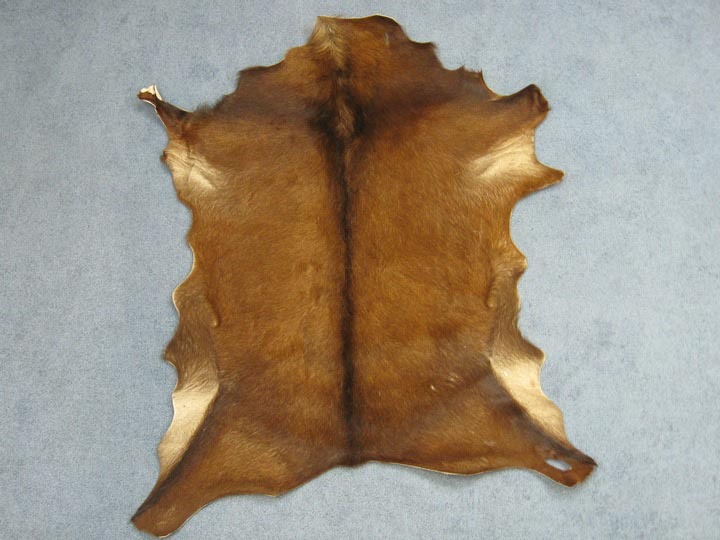 Also, there is variation in the hides from light to dark, so that some of the natural hides may look bleached. We will do our best to accommodate small quantities. 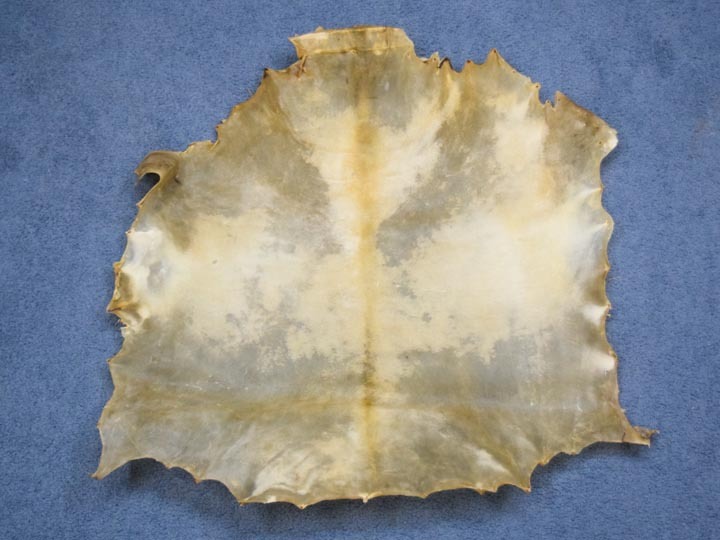 For orders of six or more skins, the rawhide will be shipped as a run with varying weights. 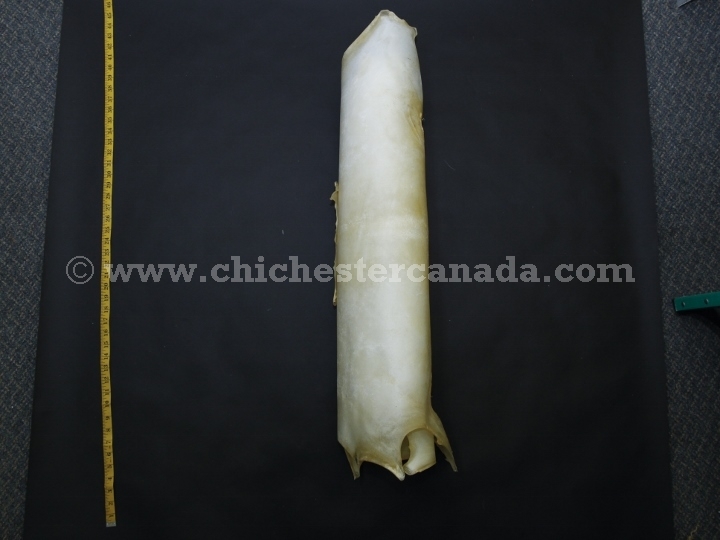 The sizes of a few medium goat rawhides average between 32" to 37" long and 22" to 25" wide. One extra large rawhide we measured at random was 43” long by 29” wide across the top, 33.5” wide across the middle, and 40” wide across the bottom. Another was 47" long and 29" across the middle. 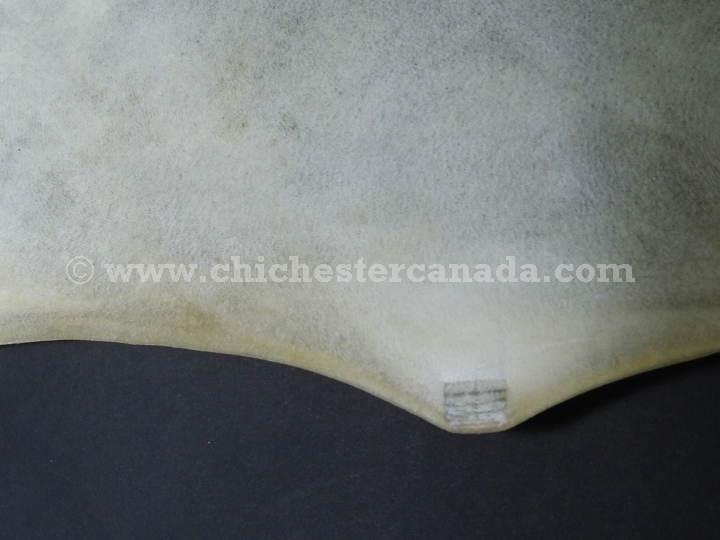 We can also offer hair-on goat rawhide. This is ideally suited to making African hand drums. 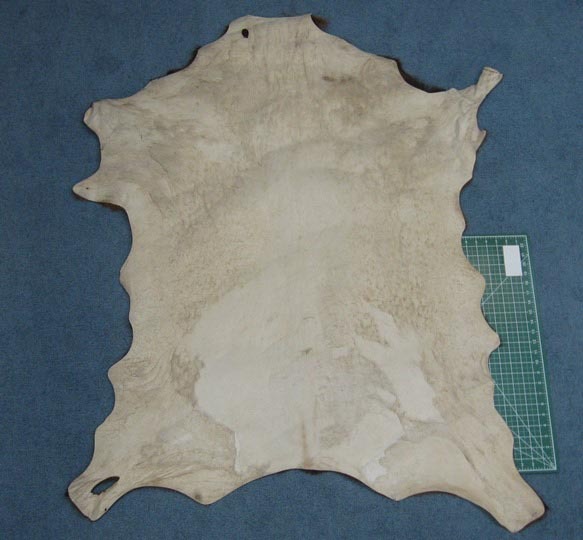 The hair-on goat rawhide pictured above is measured to be 50" long, 33" wide across the top, 33.50" wide across the middle, 41.50" wide across the bottom, and weighed 1.88 lbs. The goat rawhide comes rolled. Individual pieces are shipped in heavy, cardboard tubes. Goats are not endangered and are not subject to CITES controls.